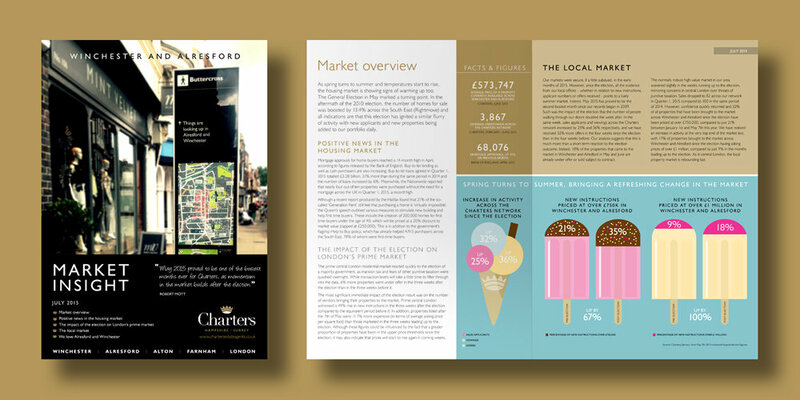 Regular local market reports, delivered to thousands of households, have helped Charters to convey professionalism and personality and to establish a strong local identity. The Charters Market Insight reports are both written and designed by the team at Dataloft. Exploring the local market in great detail, it offers a new level of property market analysis unrivalled locally. 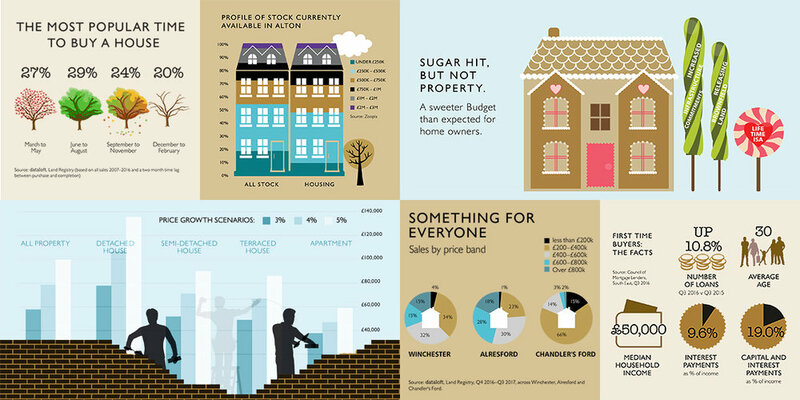 Each report is beautifully designed using infographics, charts and statistics and features a new key theme in the property market. Charters door drop 60,000 reports monthly to local households as well as posting the reports across multiple social media platforms and using them for online content. 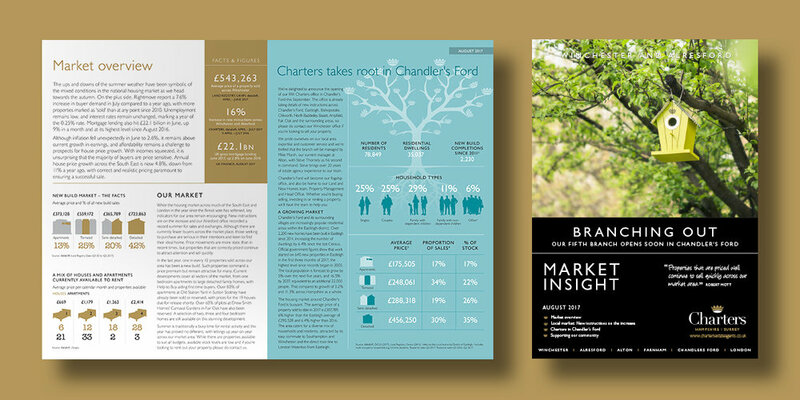 The Charters Market Insight reports have been highly successful and are widely read. They have helped to increase the profile and awareness of the Charters brand and have directly resulted in many new instructions.